Kubernetes is now available on Jelastic Multi-Cloud PaaS as a pre-packaged scalable cluster for automatic installation across decentralized network of independent cloud providers. The solution is designed for automated scaling with pay-per-use pricing model to drive down cost of ownership and increase efficiency of Kubernetes hosting. The need to modernize legacy applications led to the growing demand in development and production-ready environments for containerized applications. Kubernetes made it possible to develop cloud-native microservices or decompose traditional applications making them more technologically advanced. At the same time, orchestration of such workloads brings additional complexity. 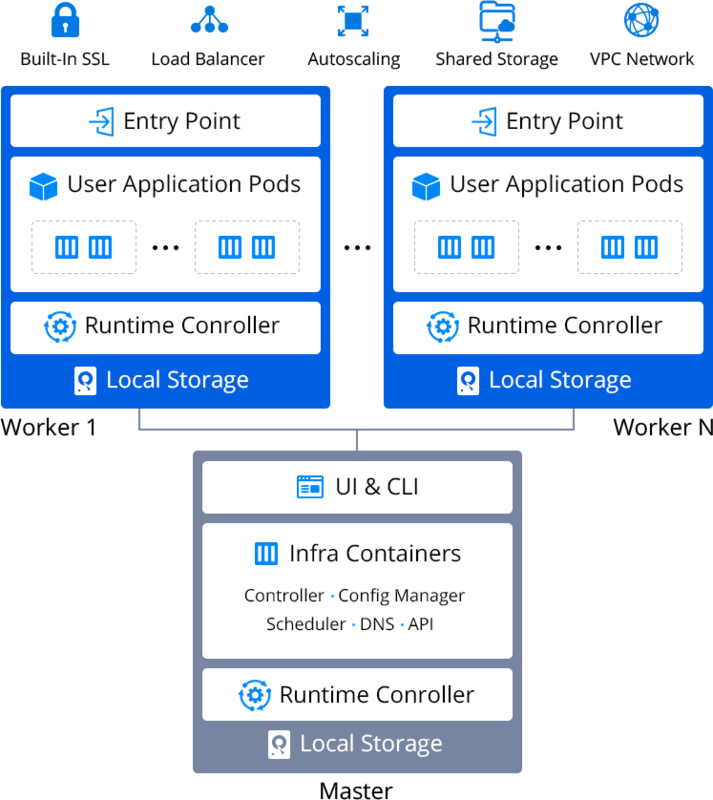 Lack of expertise and integration with Kubernetes technology, necessity to build the clusters from scratch and periodically update them create new hard-to-overcome barriers for companies and their cloud hosting providers. That’s why Jelastic has launched a pre-configured Kubernetes cluster which can be easily installed with full orchestration capabilities on top of own datacenter or any preferred infrastructure. Using Kubernetes clusters on top of Jelastic PaaS lets easily containerize and migrate existing applications, run scalable microservices and keep them resilient to failures, get extra savings due to more efficient resource utilization, implement CI/CD automation and develop at a higher speed in shorter release cycles. The package goes with a set of already pre-installed components: CNI plugin (powered by Weave) for overlay network support; Traefik ingress control for transferring HTTP/HTTPS requests; HELM package manager to auto-install pre-packed solutions from repositories; CoreDNS for internal names resolution; dynamic provisioner of persistent volumes; Heapster for gathering stats; Jelastic SSL for protecting ingress network; Kubernetes Dashboard, and others. The number of worker nodes can be changed during installation steps or afterwards. All the newly added nodes are automatically connected to the cluster. In addition, Jelastic automatic vertical scaling with pay-per-use pricing model makes Kubernetes hosting significantly more efficient. Jelastic PaaS functionality allows to provision the clusters across multiple clouds and on-premises with no vendor lock-in, automatically scale them vertically and horizontally, manage the workloads via intuitive UI or CLI, as well as automate the DevOps processes with open API and Cloud Scripting. The cloud infrastructure is managed by the platform and do not require manual intervention, so the companies can focus on their projects but not on running servers. This solution also meets the needs of those who are interested in building managed hosting business offering Kubernetes services. Automated installation, scaling, updates and integrated billing simplify the management and support of customers requiring little to no involvement. Contact to start offering managed Kubernetes hosting to the users with minimal investment of time and efforts.